HireSafe offers simple DOT compliance background checks and drug screening for your transportation or trucking business. You can also look into our supervisor awareness training information or Non-DOT drug testing if you're not in the transportation industry. 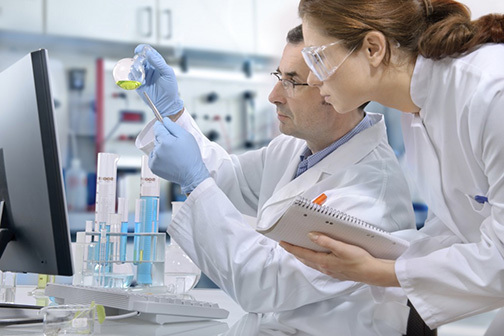 We have 20 years of DOT drug testing experience and partner with Abbott Laboratories to offer DOT compliant drug tests and random consortium pools. Together with Quest Diagnostics, MedTox, Concentra, LabCorp, and the Abbott Network we provide over 12,000 collection sites nationwide. The Medical Review Officer (MRO) – Licensed physician in charge of laboratory results. Consortium/Third-Party Administrators (C/TPAs) – Manage employers drug testing. The designated employee representative (DER) – The individual selected to manage the drug tests on the employer side. The DER communicates with the C/TPA and handles any safety concerns such as removing drivers from the field. Only 3% of TPA's are certified by the Drug & Alcohol Testing Industry Association. Our partner Abbott Laboratories is one of them. DOT drug testing with HireSafe – How does this work? To maintain DOT compliant drug screening i3screen operates as the Medical Review Officer (MRO) and the Third Party Administrator (TPA) in accordance with federal regulations. Communicates with DER for random drug testing. Reports results to the DER. Take a look at our DOT Drug testing packages by clicking the link below. If you're ready now, fill out and sign the Subscriber Agreement. HireSafe will verify your business and follow up with you within 24 hours. HireSafe will invoice you for DOT Drug testing services.